The forces which work for peace and goodwill must remain ever-powerful to achieve it, Prime Minister Narendra Modi said on Wednesday. 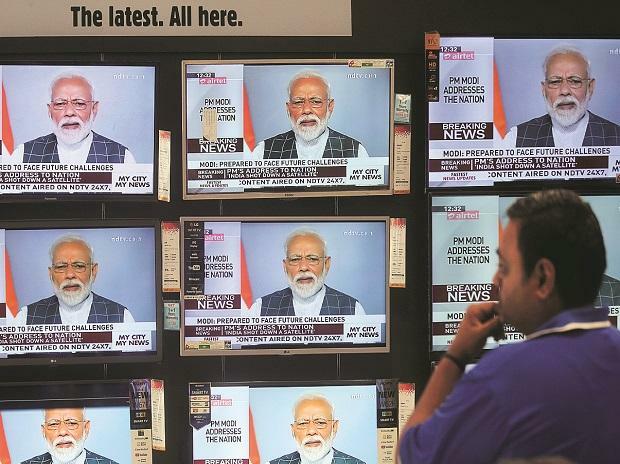 Soon after his address to the nation to announce a successful anti-satellite missile test, he interacted with scientists involved in ‘Mission Shakti’ via video conference, a statement from the Prime Minister’s Office said. He told the scientists that the successful test firing of anti-satellite missile is in line with the government’s Make in India initiative and the scientists involved in the project have proved that India can achieve any goal. “The Prime Minister said India follows the philosophy of ‘Vasudhaiva Kutumbakam’ — the world is one family. He, however, also emphasised that the forces which work for peace and goodwill must remain ever-powerful for the achievement of peace,” the statement read. Congratulating the scientists on their success, the PM said the entire nation is proud of the scientists for achieving what they had set out to accomplish. The scientists thanked the PM for giving them this opportunity to prove themselves, it said. Earlier in the day, the nation was left waiting after it was announced that the Prime Minister had an important message for the country. While the nation waited for the address, speculation spiralled — would it be about Emergency, bringing back Dawood Ibrahim or killing Masood Azhar? As the designated hour of 12 noon came and went, jokes on Twitter gathered strength. With memories of that fateful November 2016 evening, when Modi announced demonetisation of high value currency notes, still fresh, jokes about people running to the ATM and counting cash started doing the rounds. “I would be addressing the nation at around 11:45 am-12 noon with an important message. Do watch the address on television, radio or social media,” the Prime Minister tweeted on Wednesday morning, sending Twitteratti into a tizzy. Former Union minister Shashi Tharoor tweeted, “The news that NaMo was to address the nation on TV set off a minor panic among those who recalled the last time. Many honest people ran to ATMs to withdraw money & many dishonest people ran to banks to deposit cash. Pity those who, at month's end, had 0 to deposit or withdraw!,” Tharoor, who is contesting the Lok Sabha polls from Thiruva­nanthapuram, said. After the announcement finally came, around 12.25 pm, that India had demonstrated anti-satellite missile capability by shooting down a live satellite, all speculations were finally put to rest.